Domicile and inheritance tax issues for consideration. There are few ‘famous’ legal cases regarding domicile and inheritance tax, but when a celebrity is involved the media will often pick up on it and create newsworthy stories. One such case is that of Richard Burton, the silver screen celebrity of the 50s, 60s and 70s. His oft reported stormy relationship with the equally famous, Liz Taylor, gave editor’s years of ‘must-read’ copy as the public’s appetite for gossip appeared insatiable. Burton was born in Wales and lived for many years in the USA before moving to Switzerland, where he ended his days. I am sure the clean air, mountains and exceptional lifestyle offered by Switzerland were major factors, but as we all know, the very wealthy often have good tax reasons for residing there too. Burton was no exception. He didn’t own any assets or derive any income from the UK and thought he’d be able to legitimately avoid UK inheritance tax by dying in Switzerland. Burton might have been immortal as a screen idol, but the inevitability of time caught up with him and the Grim Reaper eventually had his way. I have heard various stories about what happened next. The UK tax authorities made an inheritance tax claim on his estate on the grounds that Burton had never actually been able to relinquish his UK Domicile. According to some, their claim was based on Burton apparently having a Welsh flag draped on his coffin, thus proving his heart was still in Wales. Another story claimed that he had asked to be buried in a red coat with a book of Dylan Thomas poems by his side. Both stories may be true, however to me the main factor was something that he did many years previously when he purchased burial plots for himself and Liz Taylor in Pontrhydyfen, Wales. This enabled the UK taxman to claim that Burton had always intended to return to the UK and was therefore deemed UK domicile. It is likely that his defense lawyer would have argued that this return would have only been after his death, however the UK revenue won the case and £2.4m had to be paid to the exchequer. What this tells us is that trying to shake off domicile in order to avoid UK inheritance tax can be very difficult. For expats like Burton, the situation can be very complicated. It looks as if Burton (presumably in conjunction with his advisers) did everything right to claim Swiss domicile except for the burial plot, which he may even have forgotten he’d bought. Even if he hadn’t, I am sure that no one spotted it as a potential fly in his tax strategy ointment. We are all born with a domicile; this is usually related to our country of birth. However, there are exceptions and contestable situations, such as an individual born in the UK to non-British parents. It is possible to lose this domicile of birth if you qualify for domicile elsewhere. Essentially, you would need to disinvest yourself of all UK based assets, property and financial interests. Thereafter you would establish yourself as permanent resident in the country you are living in and intend to see out your days. The qualifying period is generally based on being out of the UK for 3 complete tax years before death and not being UK resident for 17 of the previous 20 years. A further complication arises when an expat has assets based in the UK, or elsewhere outside of the country they live. As a rule of thumb, UK pensions held by someone who dies before reaching age 75 are free of IHT, but after that date, they do become taxable to their beneficiaries in the form of income tax. Rates vary from 25 to 55% depending on how benefits are taken and the tax position of the beneficiary. This appears easy to understand; however local tax legislation could mean tax must be paid in the country of residence, if the beneficiaries are tax resident in the same country. The next complication comes where we are dealing with different principles of taxation. Most European countries apply Napoleonic laws of ‘succession’. In a nutshell, this means succession taxes are borne by the beneficiary after the distribution is made. 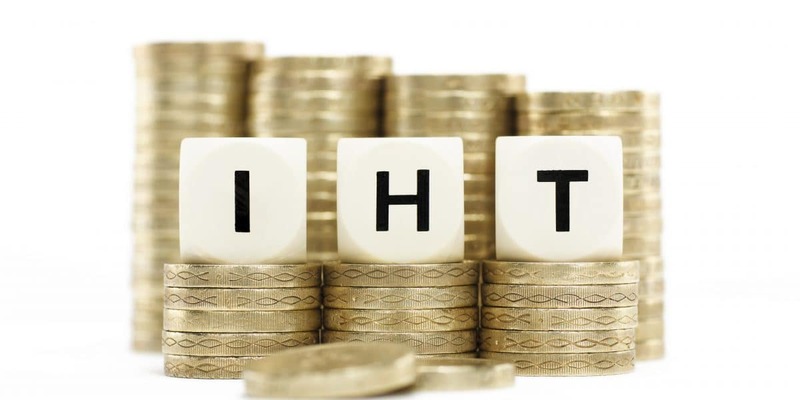 UK IHT legislation is based on Anglo-Saxon laws where tax is paid by the estate prior to distribution. Conflicting situations such as these are commonplace in the international arena, making planning difficult and legislation open to question. Beneficiaries might move to a new country after a plan has been put in place; this might render the strategy ineffective. You should seek professional advice for domicile and inheritance tax related problems. Here is a basic plan to consider. Don’t buy burial plots in the UK or ask to be buried in a red coat with books of poems, or have your coffin draped in a Union Flag! Even with what may appear to be the most effective strategy at any given point in time, domicile and how it affects inheritance tax and succession planning is a moveable feast. Governments change legislation, individual’s circumstances are fluid and conflicts can arise between different country tax codes. The first step towards optimizing your plan is, of course, to speak to your adviser. We are happy to help and offer a free initial consultation.